The beaches and other outdoor surroundings create an inviting atmosphere in National City. Well known for its zoo, restaurants and shopping, this welcoming city won't disappoint. San Diego Convention Center and Balboa Park are just a couple of the must-sees in the area. Many of our vacation rentals offer full kitchens, spacious living quarters and sometimes even a hot tub—perfect for a relaxing getaway. If warm-weather activities are high on your list, August, September, July and October are the hottest months to visit, when temperatures average 76°F. Fly into San Diego, CA (SAN-San Diego Intl. ), the closest airport, located 7.5 mi (12.1 km) from the city center. 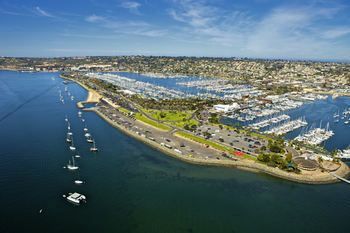 If you're unable to find a flight that fits your schedule, you can also fly into San Diego, CA (MYF-Montgomery Field), which is 10.3 mi (16.5 km) away. You might consider catching a ride on the metro at 24th St Trolley Station for ease of access to the rest of the city. Where to stay around National City? Our 2019 accommodation listings offer a large selection of 2,053 holiday lettings near National City. From 721 Houses to 98 Bungalows, find unique self catering accommodation for you to enjoy a memorable holiday or a weekend with your family and friends. The best place to stay near National City is on HomeAway. Can I rent Houses in National City? Can I find a holiday accommodation with pool in National City? Yes, you can select your preferred holiday accommodation with pool among our 513 holiday homes with pool available in National City. Please use our search bar to access the selection of holiday rentals available.